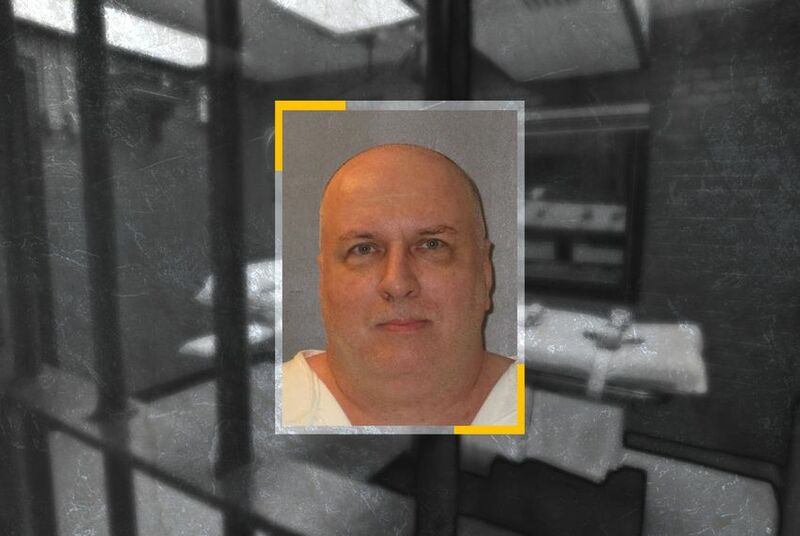 The high court granted Patrick Murphy's last appeal, which said the Texas Department of Criminal Justice violated his religious rights by not allowing a Buddhist chaplain into the execution chamber with him. The department only allows prison employees in the death chamber, and only Christian and Muslim clerics are employed with the state. "As this Court has repeatedly held, governmental discrimination against religion — in particular, discrimination against religious persons, religious organizations, and religious speech — violates the Constitution," wrote Justice Brett Kavanaugh in a concurring opinion. About a month before the scheduled execution date, Murphy's lawyers requested that TDCJ allow his Buddhist spiritual adviser into the execution chamber with him, but TDCJ declined based on its policy, according to recent appeals. When a follow-up request was sent for any Buddhist adviser to be allowed into the room, the department did not respond. In the days before his execution, the lawyers then took the issue to the courts, claiming the policy violated his rights. Lower state and federal courts rejected the appeal, claiming it was filed too late, but in a surprise move, the U.S. Supreme Court stopped the execution two hours after Murphy was originally set to be put to death at 6 p.m. The ruling states that Texas may not execute Murphy while the issue is considered unless the state allows a Buddhist spiritual adviser into the death chamber with him. In his opinion, Kavanaugh pointed TDCJ toward two possible solutions: Allow all inmates to have a religious adviser of their faith in the execution chamber or allow none of them to have one. He said it would be appropriate for the state to only allow chaplains in the viewing rooms — where families of the victims and inmate often watch the execution behind glass — due to security and operational complications that sometimes arise in executions. In Texas, chaplains in the execution chamber will often pray and rest their hand on an inmate's lower leg during the execution. Murphy also fought against his ruling at the state level based on a set of bills in the Texas Legislature that would limit the death penalty for accomplices who didn't kill anyone. His death sentence and execution differ from the other six men in the Texas Seven because he didn’t participate in the officer’s murder and wasn’t there when it happened. In the weeks before his death, his lawyers hoped the bills would convince the courts or the governor to delay Murphy's execution. On Christmas Eve in 2000, Murphy was the lookout in the robbery of a sporting goods store in Irving, remaining in the car in front of the store and listening to a police scanner while the other six men went inside, according to court records. He and another escapee later said that Murphy used a two-way radio to warn the others to flee when he heard that police were on their way. And as 31-year-old Officer Aubrey Hawkins began to drive to the back of the store where the other robbers were, Murphy left the scene on the instruction of the group’s leader. He said he didn’t find out the other men had shot Hawkins 11 times and run over him in a stolen car until the group reunited later. Under Texas law, Murphy is just as culpable as the men who fired their weapons at Hawkins because he was participating in the robbery, and a jury determined that either Murphy was acting with the intent to help in the crime, or, even if he had no intent to kill anyone, the murder “should have been anticipated as a result” of the robbery. To be sentenced to death, the jury must have agreed that Murphy at least anticipated the death. The statute is part of a controversial law commonly referred to as the “law of parties,” under which accomplices and triggermen are treated alike. Still, the 2017 bills — authored by two House Democrats — died before going to the floor for a vote. This year, Leach and state Sen. Juan "Chuy" Hinojosa, D-McAllen, have also put their names on similar legislation. The bills have not been scheduled for a committee hearing yet, and although Leach was vocal on the Wood case in 2017, he declined to comment on Murphy's execution. It's unclear if a jury found Murphy guilty under the anticipation clause of the law of parties which is targeted by the legislation, or the first section, which includes intent to assist in the crime. When prosecutors have argued against the bills in the past, they have used the Texas Seven case as an example as to why the law is needed, giving more tools to those pursuing heinous cases. Before the prison escape, Murphy was serving a 50-year sentence after being convicted of breaking into a woman’s home and sexually assaulting her at knifepoint. And court rulings note that Murphy told police after his arrest that his "purpose 'was to initiate firefight'" if he was pursued by police when he left the store. His lawyers said this week it would be “unconscionable” for Murphy to be executed while lawmakers consider changing the law in cases similar to his. They acknowledge that the law, even if passed, wouldn’t have applied retroactively to Murphy’s case, but they believed it would open the way for the courts to find his death sentence unconstitutional. “Carrying out the execution of Patrick Murphy, who neither fired a shot at Officer Hawkins nor had any reason to know others would do so, would not be proper retaliation but would instead simply be vengeance,” wrote Dow and Jeff Newberry in a petition to the parole board asking for a recommendation to change his sentence to life in prison or delay the execution. On Tuesday, the board voted against such a recommendation in Murphy’s case. In a letter Wednesday, Dow and Newberry asked Abbott to grant a 30-day delay of execution while the legislation on the law of parties plays out at the Capitol. Abbott has stopped one execution since he took office in 2015, when he changed the sentence of Thomas Whitaker to life in prison after a unanimous recommendation by the parole board. He remained silent on Murphy's case.